Lots of people are familiar with Longboat Key and Siesta Key, but when I ask potential buyers about Manasota Key, I usually get a "Huh?". Properties on Manasota Key have an Englewood address, with the northern 2/3 of the island in Sarasota County and the southern 1/3 in Charlotte County. Manasota Key has wide beaches and lots of real estate opportunities for beachfront homes, unlike Siesta Key or Longboat Key that are dominated by condos. Manasota Key literally supports real estate in almost every price range, with efficiency condos starting around $100K to gulf to bay homes over $3 million. Well, Christmas is over and today it's back to work. I have a long distance closing happening now as I write this blog post. It's a Fannie Mae property listed by an agent in Tampa who never set foot in the property, with the closing being handled by a title company in the Miami area. There is nothing more basic to excellent customer service than prompt and clear communication and response. The title company told me "they get over 400 emails a day, and they don't have time to send a receipt confirmation email", despite the fact their website says customer service is their top priority. This is not excellent customer service. I don't want to hear a service provider tell me are too busy to respond to my repeated requests for a confirmation. I don't want to hear how many emails they get. I don't want to hear "this is how we do it". Searching the public MLS sites for beach front property can be frustrating. Property that is not direct beach front often shows up in search results. I have created pages on my website that filter out most if not all of the non-beachfront property and provides just the true beach front listing information from the MLS. I hope discerning beachfront home buyers take advantage of these unique home search tools. A new article in the Tampa Bay Business Journal today covered the topic of more residential and commercial growth in Lakewood Ranch. Lakewood Ranch is perfectly lovely as it exists right now, and attracts a lot of attention from home buyers because of the neatly manicured neighborhoods and new infrastructure such as schools and hospitals. In fact, Lakewood Ranch is becoming more of a bedroom community for St. Petersburg commuters because of the benefits compared to living in Pinellas County. But I just can't help thinking you can have too much of a good thing. I encounter buyers who don't want to pay extra property taxes in the form of CDD fees (read about them here). Developers are more than likely going to have to charge CDD fees to build new communities even further east in Manatee County. Gulf to bay properties are rare and only exist in a few places in Florida. Gulf to bay or ocean to bay properties are typically found on narrow barrier islands, where the parcel has both deeded beach and bay access, usually with a private boat dock. In the areas I serve, this means Casey Key and Manasota Key. I added this page to my site because many agents market their listings as gulf to bay, when the view, but not the actual property, is gulf to bay. I have created this special search results page based on geography that contains only true gulf to bay homes for sale. The unique luxury of having a home with full Gulf of Mexico views and a sparkling private beach with your boat at your own private dock is a dream you can achieve. Inman News is the real estate version of the Wall St. Journal for real estate agents and brokers. I gain a lot of valuable information from this source, as well as engage in interesting debates on articles posted by contributors to Inman. I recently got involved in a debate with an Inman contributor who says that forcing people to register to view homes for sale on their website, resulted in more leads. The contributor used terms I consider old school. Do you want to be "captured", "forced", or "taught" while you are looking for homes online? I find those terms outdated, and a bit rude. I believe that you as a prospective home buyer or seller who is looking for homes online should not be treated like internet prey. Doesn't Float, Can't Nail It: Perfect! I was showing beachfront property to a customer recently, when we ran across a beautiful wood deck with rich, deep colors and graining. The wood it was made from is called ipe wood. Pronounced ee-pay, and seemingly often spelled epay, ipe wood comes from Brazil. It is commonly referred to as Brazilian walnut. I've heard of Brazilian walnut, but usually used in cabinetry or interior wood flooring rather than outdoor decking. Ipe wood is perfect for coastal construction because it is 3 times harder than cedar. In fact, it's so dense, nail holes have to be pre-drilled and it sinks in water. It has natural oils which repel water and wood destroying organisms. Most manufacturers say ipe wood has a 25 year lifespan, which is incredible for a deck or walkway, but maintained properly, experts say ipe wood can last 75 years. Of course, a wood such as this will have a cost premium versus locally sourced lumber. Experts say ipe wood can cost 30% more than cedar or knotty pine. There's lots of anecdotal evidence that our area is experiencing an early and what looks to be robust "season". For example, just today, a trip to Bradenton for a home inspection that should have taken me 20 minutes took 35. Every other license plate is from out of state. Afterwards, I went into Home Goods to get some kitchenware to prepare for Thanksgiving. No parking spaces and the store was jammed. It's not even Black Friday! While this bodes well for us in the real estate industry, as a home buyer, you will face some challenges with low inventory and the beginnings of a seller's market. Please contact me with any questions about the local real estate market. I look forward to being your buyer's agent in what looks to be a very hectic 2014. Zillow is reporting increases in visits to their website and is spending a lot of money advertising to the general public. This is causing a lot of misperceptions about what Zillow is, and what they do. Here's what Zillow is: they are a self-described media site. This means they are in business for the sole purpose of attracting a lot of visitors to their website. They sell advertising and set their ad rates based on the number of website visitors. Here's what Zillow is not: Zillow is not a licensed real estate broker. Zillow cannot sell you a home. You cannot complete a real estate transaction on Zillow's website. There are implications for home buyers and sellers who use Zillow on their own, without employing the services of a local Realtor. 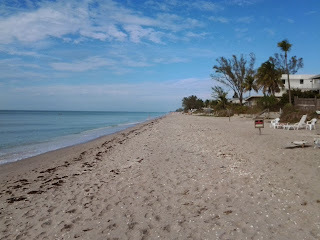 Home buyers searching for Sarasota beach homes and condos for sale are finding my website a valuable resource. So many agents listing property on the barrier islands put "gulf front" or "gulf view" in their descriptions, that really aren't directly on the Gulf of Mexico. This makes it hard to filter out only homes or condos that are directly on the Gulf of Mexico if you as a potential buyer are searching the public MLS sites on your own. I have Realtor-only tools available that enable me to draw property listings from a geography that is on the Gulf side of the area's major north/south beach road. This past weekend I had the privilege of showing properties to buyers on Palm Island. Palm Island is accessible only by ferry or private boat, and offers beachfront cottages and homes for sale. 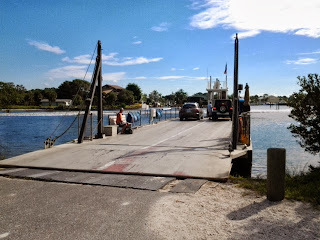 The ferry is located just north of the Boca Grande Causeway off Hwy 776. We viewed 8 homes, including a couple within Palm Island Resort. Homes outside the resort have a combination of pools and tennis courts in their homeowner's association. Within the resort, homeowners have pool, tennis, as well as concierge services. UPDATE 3/15/2014: The links here are no longer valid but the content remains accessible. Please visit my website's main page, www.davidbarrhomes.com, and use the new and improved navigation to find your ideal Sarasota home or condo. Every Realtor has (or should have) a public MLS search function on their website. In reality, the public MLS sites often don't provide easily searchable neighborhood or property style options. My services to you as a real estate investor don't stop once you have acquired your property. If you are buying to fix up and flip, my expertise in working with buyers in all kinds of price ranges across my service area of Manatee, Sarasota, and Charlotte Counties can help you maximize your return on investment. One of my customers is in the process of flipping now and asked my input on flooring replacement. Another customer of mine is closing on an investment rental condo, and needs the flooring replaced as well. My recommendation on flooring replacement is tile. Tile is inexpensive, durable, and easy to install on a concrete slab/subfloor. Buyers see it as an upgrade and tenants like it because it's easy to clean. My advice is to stay away from laminate flooring, even if it costs a little less. If you are trying to match different flooring, it's easier to match tile to tile than it is to match laminate or engineered wood floor colors and textures. Flood insurance is in the news with changes in federal legislation affecting FEMA. Starting October 2013, for single family homes where the buyer is obtaining a mortgage, a buyer must have a flood elevation certificate to determine the property flood zone classification. These can be obtained through a local property surveyor. This will be conducted during the escrow process along with home inspections and other contingencies. Properties in the SFHA (Special Flood Hazard Area) designed with an A or V will experience large increases in annual premiums and flood insurance will be mandatory to obtain financing. Buyers should be aware that flood insurance policies can no longer be transferred from the previous owner. Cash buyers of single family homes are not required to carry flood insurance. The new regulations do not pertain to condos, as of this writing. 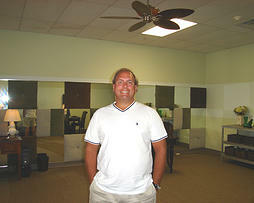 You have a lot of choice when it comes to selecting a Sarasota FL real estate agent. My job is to make your selection of a real estate agent as simple as possible. I don't waste your time blogging about the upcoming antique car show or a rowing event. I don't make you download a lot of postcard pictures of Sarasota on my website before you can get the real estate information you are looking for. davidbarrhomes.com is 100% real estate, 100% of the time. On Saturday mornings I get an email from Inman real estate news. Many of the articles are written by SEO companies and marketing "gurus", telling agents how to advertise themselves to home buyers and sellers. Some of the terms used in the sales industry, not limited to real estate, really make me cringe. And I've been "in sales" for over 25 years. "Capture", "convert", "lead", and "capture" are regularly used terms. Do you as a potential customer really want to feel like hunted prey? My philosophy about gaining new customers and their trust is simple. I provide information to customers about properties and answers to their questions they are searching for online. This content is written by me specifically about my service area, not by a 20-something in Silicon Valley who has sold me some content to use in my advertising. The Sarasota area is a great place to retire or have a vacation home for pet lovers. As a dog owner myself, I understand how important it can be for pet owners to search for property that allows pets. I have created over 50 specific pages on my website with property listings for Sarasota area neighborhoods, both for single family homes and condos. Each property summary report has also been created specifically by me to quickly answer some of the most important items buyers are seeking. One of these, which you won't find on my competitor's websites, or on Trulia or Zillow, are pet restrictions. For example, if you are looking for a condo on Siesta Key on my website http://www.davidbarrhomes.com/#!siesta-key-condos/cztg the property summary will show if the condo allows pets, and also displays any additional pet restrictions, such as number of pets or a weight limit. Home Inspections: Foreclosure or Traditional Sale? I have a couple of buyers under contract. It's at this point in the buying process that I emphasize the role of the home inspection. The key to a smooth transaction and happy buyers and sellers is making sure both parties understand the terms they agreed to in the contract regarding the inspection and repairs. The home inspection is not to be used to negotiate a further price reduction or concessions from the seller, unless latent (hidden) material structural problems or improperly functioning systems are discovered. Some current customers of mine have an accepted offer on a bank owned foreclosure. All foreclosure contracts are as-is with right to inspect, meaning the buyer is accepting the property in it's current condition at the time of the offer. The buyer has the right to have a home inspection to discover any potential hidden defects, not readily visible to the buyer, that may affect the value of the property or may cause the buyer to spend more money than planned on repairs. Most as-is contracts specifically state how much money a bank will spend on repairs. This number is usually $0.00. This was the case with the contract for these buyers. I discovered water damage in the home due to an apparent roof leak, while performing a service to the buyers by taking a video walk-through of the property and providing detailed pictures of the interior and exterior. I discovered this damage during the inspection period negotiated in the contract. I participate in an online real estate forum called Trulia Voices. On this forum, potential buyers and sellers can ask local real estate experts questions about buying or selling a home. I find this is an excellent way to establish knowledge and services versus competing real estate agents. I am constantly reminding myself to pay attention like a laser to exactly what a potential customer is asking about and provide a concise answer, whether online or in person. This doesn't always occur on Trulia. I've just updated davidbarrhomes.com/best_deals with the latest properties available for sale. Two newer homes in North Port, ready for tenants, on city water and septic;A fantastic deal in Venetian Golf and River Club, priced at 1/3 of what it sold for at the height of the market;An incredible rare opportunity in The Landings with 4 bedrooms, 4200 sq ft, and heated pool, selling at 75% of its last sales price in 2005. These will go fast. Schedule a showing now to see these great deals! I hope some of my fellow Realtors read this post. I am contacted all the time by search engine optimization companies (SEO's) who have somehow managed to find my pitiful "low ranked website" davidbarrhomes.com. They promise to miraculously improve my search engine results and save me hard earned marketing dollars. I've been using Google Adwords for over 10 years and I'm Google Certified. These SEO's are preying on Realtors and their practices can actually hurt your website and your business. 1) Myth: Your website needs to be on the first page. Fact: In the real estate business, most of the natural (unpaid, also called organic) links are for major national advertisers such as Re/Max, Trulia, Zillow, Keller Williams, etc. If someone is searching for local results, they most likely have to go to page 2 3 or 4. Don't waste your money competing with the large national companies. According to a Miami Herald article, when Citizen's Insurance sends out it's monthly customer bills, only 31 percent of them go to the same address that is insured. I've been saying for months that our current real estate recovery is driven by out of town and international buyers, paying cash for properties that have until recently been priced at half what they sold for at the height of the real estate boom of 2004 and 2005. The rest of the article then delves in to the pluses and minuses of wealthy investors taking advantage of below-market taxpayer subsidized homeowner's insurance. That's another blog post and a discussion of politics that I try to avoid. Suffice to day, without our international and out of state friends investing in FL real estate, our overall economy would not be experiencing the recovery we are seeing today. Everybody is reading how Sarasota is a great place to invest in real estate. And that's the problem that stops many people from actually investing here. Casual investors don't realize we are transitioning to a seller's market, and most properties under $150K will be multiple offer scenarios. These investors also don't realize they have little time to make a decision once a property comes on the market. Lowball offers have zero chance of being accepted. For investors who are skittish about multiple offers, my suggestion is to contact me about opportunities in other parts of our market that are lesser known. Rental demand is strong across the three county area I serve (Sarasota, Manatee/Bradenton, and Charlotte Counties). One of the things I find when working with new investors or casual real estate investors is that they are not familiar with current rental rates. The rental demand in the Sarasota area is strong. I am also recommending that investors consider the Venice area as well. It's off the radar for most. The buy in is a bit lower and the rental rates are similar to Sarasota. UPDATE 3/15: View my analysis of this topic on my website. I received a couple more calls from out of town buyers, asking about condos as investment property. There's so much evidence that single family homes are a better choice for Sarasota real estate investors than condos, I thought I would lay out a simple analysis. Fees: No HOA in non deed-restricted single family neighborhoods. You do not need to buy in a gated community for investment. Condo association fees average $300 monthly and are predicted to increase with insurance and regulatory changes. Advantage: Single family home. Management: You will need a management company whether you choose single family home or condo. Application: Prospective tenants need to pay an average $100 application fee for condos. No application fee necessary for single family homes. Advantage: Single family home. I just updated my website with a fresh crop of Sarasota's best real estate deals. In the latest hand picked listings, you'll find single family homes ranging from Nokomis to Longboat Key. The properties I select have a strong track record of selling quickly. My expertise in helping buyers submit competitive offers for bank owned property will help you take advantage of the best deals in a strengthening real estate market. I just had a phone call with a listing agent regarding a showing for a condo that was tenant occupied. The tenant seemed to be setting the rules of when and how to show the property. According to the listing agent, there was a "cat with an attitude" and the tenant was adamant that the listing agent provide access to all showings. Of course, the predictable "can you show it later?" question came up. Ugggh. It's really unfortunate that the seller put a lot of work into renovating this particular unit, and it's difficult to show. My advice to Sarasota property investors is to include a clause in your lease, making it crystal clear to tenants that they must allow showings and have the property ready to show with 24 hour notice. Pets should be caged or put in a bathroom. Restricting showings on your investment property hurts it's value and results in longer time on the market. I recently had interviews with potential home buyers, and one of their questions was why hire a buyer's agent when they can work with a "local expert" agent who lists homes in a particular geographic area? My primary answer is that these "local experts" may not have the critical experience of working with buyers in other geographic areas. A experienced buyer's agent will show buyers different areas they may not have considered that meet their criteria, and contrast the nuances of these neighborhoods to give a home buyer the best range of options. What's happening now in the Sarasota real estate market? As little as 6 to 8 months ago, cash buyers were flooding the market, snapping up single family homes and condos in the $100K range. Most of those types of properties were seeing multiple offers and bidding wars. Now, this type of activity seems to have moved up market, but with a different type of buyer. I've been showing single family properties in the mid $200's to low $300's to a couple of different buyers over the past month. We are encountering multiple offer situations, and properties going under contract quickly. Buyers in this price range seem to be looking for a primary residence, who have sold other property in an improving real estate market. Investor interest in Sarasota real estate remains high. So why not follow the leaders? Hedge funds, most notably Warren Buffet, are buying single family homes to hold, produce cash flow, and sell later when the property appreciates. Why? Condos are a dime a dozen, have increasing carrying costs (association fees), and do not appreciate as rapidly as single family homes. Depending on the area, condos also compete with shiny apartment complexes with fitness facilities and resort-like pools. It's harder to park a boat or a 2nd or third car at a condo, or have pets as a tenant. I've been saying all along, single family homes are the best bet for finding a quality tenant quickly and holding for appreciation. Is it a conflict of interest if you work with a buyer's agent, and you then make an offer on a home listed by another agent with the same real estate brokerage? According to FL law, the answer is no. In practice, the answer is maybe, especially in the luxury sphere. Many real estate firms pride themselves on getting "both sides" of the real estate sale, meaning different agents from the same brokerage represent the buyer and the seller in a transaction. Some brokerages post their listings on their websites first. Nothing illegal with this at all. But does this serve the prime interests of a buyer, or the brokerage? My philosophy is that a buyer who hires me to be their buyer's agent deserves an equal opportunity to view all properties that meet their criteria, not just those of my brokerage first. Looking for the best real estate deals on the market right now in the Sarasota area? I just updated my best deals page on my website, www.davidbarrhomes.com/best_deals, with my latest picks. Today's update includes luxury waterfront homes at up to half their last sale price at the height of the market. If you have interest in these homes and condos, or any like them, please let me know and I'll be happy to help. After working with a couple of recent customers and sharing stories with some of my colleagues, I thought it was time to revisit the role the home inspection plays in the home buying process. The home inspection contingency has been put in place in FL real estate to help buyers determine if a home has hidden (latent) major deficiencies, that are not readily visible from the buyer's personal observation. Repeat: Hidden major deficiencies not readily visible. The home inspection report will note every single aspect of the home, including worn flooring, old paint, old appliances, and old systems such as water heaters and HVAC. Buyers can readily view these items, even the age of the HVAC and hot water heater, during the showing appointment (or I can point them out to you if you make an offer sight unseen). As your real estate agent, I can provide advice on how your offer should take these items into account in your offer price. I'm not a go with the crowd kind of guy, and I usually question the CW (conventional wisdom) of what the media and leaders in our field feed us about the latest trends and news. One of these is that we need to develop "responsive" real estate websites, based on the user device. I don't subscribe to this idea. Website analytics and the mobile industry lump mobile browsing on different devices under the same category. For example, browsing on a smart phone or internet capable phone is considered the same as browsing on a tablet. I think there's a real distinction between these devices, in terms of how users search for real estate. In the first scenario, a potential home buyer is on their smart phone in front of a home for sale. Most likely, they want to look up the price and get basic information. For this type of mobile user, I provide a QR code on my for sale sign, which takes the user to a specific page on my website. I recently replied to an associate with our company who posted a comment for an article in the Sarasota Herald Tribune about buyers frustrated with multiple offers. This associate supposedly handles a large list of foreclosure properties. His assertion was that many of the best foreclosures don't make it to the market, and sell before they are listed, so buyers should sign up with this broker to be the first to know about foreclosure listings. I Have a Page for That! Have you been searching for Sarasota, Bradenton, Venice, or Englewood real estate and found the process frustrating? Many of my competitors advertise that you can see listings for these areas on their websites. This is true, but it takes a bit more work for the consumer. Most make you go to a blank search form for the MLS, and if you aren't that familiar with our area, the results you get back may not be exactly what you're looking for. When I created davidbarrhomes.com, I put myself in the shoes of the customer. I have specific pages with real estate listings for over 45 popular local towns, areas, and neighborhoods in the greater Sarasota area. Want to search for homes west of the Trail in Sarasota? I have a page for that: www.davidbarrhomes.com/west_of_trail. The public MLS does not have a field for this geographic area, and unless you are from the here, you may not be exactly sure of the boundaries for what the locals call west of Trail. As I get older and wiser I find the old cliches about business do have a basis in fact and success. When dealing with a customer, try to put yourself in their shoes. A great example of this happened to me this morning with a customer from Canada. As much as I enjoy working with Canadian buyers, they are extremely risk averse. This buyer in particular was sensitive to the potential for mold in a condo unit that was not a primary residence for the current owners. His thoughts were that moisture build up in an unoccupied residence could cause hidden mold issues. Of course, it didn't help that the sellers left one of those timed Lysol fragrance spritzers on in the unit. To the buyer, it seemed like the fragrance was covering up a moldy or musty smell. Putting myself in the buyer's shoes, and since I am from up north myself, it must seem "musty" to a visitor because of our high humidity, even compared to Canada's hottest, most humid days. I've blogged about this topic before. If you are getting a mortgage for your vacation property, or are looking to buy as an investment, single family homes are the best bet compared to condos. The carrying costs for single family homes versus condos (insurance, fees, maintenance) are roughly the same. However, getting a mortgage for a condo is turning into a nightmare. Prepare for 30% down for a condo purchased as a vacation property. Your interest rate will be higher if you are purchasing a condo as an investment property. Add to this the fact that mortgage lenders are now sending questionnaires to condo association managers and asking for detailed financial statements before approving the mortgage. One of my recent client's closing was delayed because the condo association did not reply to the intrusive questions from the lender in time. Getting a mortgage for a condo in Sarasota, or any other area in Florida, is possible but not an easy process. To make the process as easy as possible, please use a local lender. If you are planning on using your condo as a vacation home, you will need at least 30% down, regardless of your credit score, as of this writing. If you are using your condo as an investment property, the 30% down still applies but you will likely have a higher interest rate. As a buyer, you should get a mortgage qualification letter from your lender prior to starting your search. One thing to watch is condo association fees. The average condo fee in the Sarasota area is $350 per month. These fees can negatively affect your income/expense ratio and could decrease the price range of the condo you can afford to purchase. So you're looking for a condo for sale in the Sarasota area, but you only want to see furnished condos? Furnished condos are perfect for investors and out of town owners who want to use their condo from day one. If you are getting a mortgage for a furnished condo, the furnishings agreement should not be a part of the purchase agreement. Arbor Lakes will be a mixed development of single family homes and townhomes. The builder is still breaking ground and clearing the site as of this writing. Community maps, floor plans, and prices are not yet available. I have been told this information will be released in the fall. As a local Realtor I will be among the first to get updates on Arbor Lakes. If you are interested in this new home community, please email me your name, email address, and phone number. I will let you know as soon as floor plans and prices are released. The big green blob on the weather radar is bringing much needed rain and spring-like breezes to the SW Gulf Coast of FL today and into tomorrow. High winds are not expected and I doubt there will be any major flooding. This area has been in a drought for a long period, so the rain is definitely welcome. Time to get the mower out! Punta Gorda Bridge to Beaches? People are always asking me why real estate in Punta Gorda and Port Charlotte is relatively less expensive than Sarasota and Venice. The simple answer is: they're not close to a beach. To get to a beach from either PG or PC, you have to take a lengthy journey down Hwy 776 to get to Englewood Beach or Stump Pass State Park. In some cases you're looking at a 40 to 45 minute drive. Real estate is driven by demand, and demand for real estate within easy reach of a beach in FL is in higher demand, hence part of the reason for the higher real estate prices in the Sarasota area. So why aren't Charlotte County officials looking into some kind of bridge over Charlotte Harbor directly to one of their beautiful beaches? I know there's all kinds of environmental issues, but wouldn't the tolls they could charge on the bridge, and the access fees, the fishing piers, and the increase in real estate tax receipts from increased values, make a bridge worth a look? In case you missed it, I have several pages on my site devoted to real estate that can be hard to find on the public MLS. What's going on in the foreclosure market in Sarasota right now? Let's talk about inventory first. The number of available forclosure properties for sale in Sarasota County is staying steady, in a range between 500 and 600 single family homes and condos. This is, however, down from a peak inventory of between 1500 and 1700 properties for sale in the MLS in 2010 and 2011. The current situation of prices and where the properties are located is the real story behind our area's foreclosures. A few months ago, there was a fiercely competitive market for properties in Sarasota, just east of Tamiami Trail, listed under $100K. Those properties were attractive to investors for buy and flip. We all hear about great customer service when working with our real estate clients. One part of the great service we often don't talk about is shielding our clients from unnecessary stress or problems that arise when working with other Realtors during a transaction. Our profession is constantly in a state of change, especially when it comes to real estate law and the documents involved, such as contracts and disclosures. Many Realtors get distressed when I tell them that a seller's disclosure is no longer required in Florida, unless the seller is making a negative disclosure about the property. I have no problem providing a buyer with a seller's disclosure if the listing agent went to the unnecessary trouble of having a seller complete the 5 page disclosure. Unless there is a negative disclosure, a buyer working with me is not signing or initialing an unnecessary 5 page document. There's enough paperwork already. Yes, that may seem a silly question, but I keep seeing a lot of confusion about what a video actually is in reading real estate industry articles, as well as in our own MLS. Still photos, set in motion with animation and sometimes with a music track, is not a video. It is an animated slide show. Our own MLS offers a "virtual tour" feature that costs a whole $2 for the listing agent. I would not dare post an animated slide show as a video on YouTube. YouTube users are sophisticated and want to experience real video of your subject, whether it's a hike, a scenic vista, or a home tour. This is exactly why I provide real video for buyers and sellers on my YouTube channel, sarasotahomes. Buyers can preview a home from long distance exactly as they would walk through it themselves. I provide this service for my home listings as well as for buyers who are familiar with an area or a condo complex, and want to see an individual property. I read an interesting article on real estate marketing and the basic business card. The premise of the article was "My Face is Not My Brand". It went on to say there's a divide in the real estate community about putting faces of agents on everything from cards to yard signs to real estate websites. I call this vanity marketing. I am of the school that believes no one is going to select me or not select me because of how I look. I have always said I prefer to work with people that select me as their agent because of my knowledge and local experience. Here's something to think about: Do doctors or employees of major corporations put their head shot on their business cards? Vanity marketing might be great for politics, but it's not so great for real estate. Do we even need business cards at all in the digital age? Now there's a topic for a future blog. Innovation and technology in real estate is always welcome. I'm a bit of a tech geek and like to keep ahead of trends and incorporate new ideas whenever I can. A burgeoning technology I've been reading about is agent matching. Much like personal matching sites, a new group of websites is just beginning to roll out agent matching sites based on buyer and seller input about their needs and personal traits. The idea is to match Realtors with potential clients based on more than just experience. I got an email today from Trulia to let me know my profile on their site ranks in the top 1% of agents nationwide, for views by real estate consumers. I'm not a big fan of Trulia and it's major competitor, Zillow. In fact, I think these two sites do more to damage the real estate business than anything Congress or a bad economy have done. Why? Read more here. However, these two sites do receive a lot of traffic, and offer free exposure for me to promote my brand and my online presence, including my website and this blog. I consider it one of my missions as a Realtor to help consumers who post questions on Trulia's forum, understand why so many of their "listings" are not available for sale, and why so many of their property value estimates are flat out wrong. The recent case of a lawsuit against a Tampa area real estate agent for a violation of the US Fair Housing Act in the public remarks on their listing prompted me to blog about this law and what it means for real estate buyers. Our MLS provides some excellent, cutting edge tools that many local agents are probably not utilizing to help their clients access Sarasota real estate listings on their mobile devices. I am always looking for common sense, easy to use features to help my clients find the right property and learn more about our local real estate market. In fact, our MLS tools are so advanced that you don't even have to download an app, and you don't have to worry about your OS. Scan the code above, or click here to go directly to a mobile-optimized MLS search site with advanced map searching. What home buyers want and what is ends up being best for a home buyer are often not the same things. As an experienced real estate broker, I carefully listen to what potential buyers say they are looking for in a property, and how they plan on using it. Here are two good case studies. I recently helped a couple from Nova Scotia close on a single family home in Englewood. This couple wanted to be as close to the beach as possible, with the option of renting the property when they weren't using it. Because they were long distance owners, the idea of owning a condo at first seemed appealing. As I showed them properties, we discussed how condo fees and association regulations would affect their income potential. We also discussed the needs of their growing family and the long term benefits of owning a condo versus a single family home. Sarasota's real estate market is growing, but there's still good deals out there. I just updated my top picks on my website, www.davidbarrhomes.com/best_deals. A luxury home in a boating community on the Manatee River in Bradenton, listed for less than half of what it sold for in 2005;A newer 3/2 home in North Port listed at $102,900, which sold for $232,000 in 2006;A condo west of the Trail in Sarasota, with direct waterfront access to the ICW and minutes to Siesta Key beaches;An income producing triplex on Manasota Key with deeded beach access for under $250,000. If you're interested in Sarasota real estate, the time to jump in is now! Please contact me for more information. Divosta is one of the most reputable new home builders in our area. Divosta communities are known for solid poured concrete walls, precision interior fit and finish, and resort-style amenities. Village Walk in Sarasota in Palmer Ranch, in particular, has it's own salon, gas station, fitness center, restaurants, and stunning community pools overlooking lakes and bike trails. Divosta communities offer a nice range of property styles that will appeal to most buyers. Styles include paired villas with 2 bedrooms, townhomes with 3 or 4 bedrooms, and single family homes with 2 to 4 bedrooms. The paired villas and townhomes can usually accommodate private pools. Because Divosta Homes have such a solid reputation, I have created a web page devoted only to available re-sale homes in Divosta communities in my service area, which you can view here: www.davidbarrhomes.com/divosta_homes. As a frustrated artist, one of the reasons I love the real estate business so much is that I get to see many different architectural and design styles reflecting the Sarasota tropical environment. I ran across this fantastic idea of personalizing an old table or console by taking paint can stir sticks and making a herringbone pattern on the top. Take an existing table of almost any style. The turned legs of this example look beachy, with a nicely stained top sealed with a clear varnish. If you are a real estate investor who wants inexpensive ideas to polish a seasonal rental property, small touches like these throughout the home or condo can really generate a lot of interest. I can also imagine this idea used with a shaker style, or a contemporary table painted completely black, in a loft or apartment space. I may be trying this idea for use on my lanai if I find a suitable consignment or garage sale table, and I'll post pictures when completed. I just read an article from Inman News, the real estate news source, about Trulia's changes to their "listings" and their mobile app. I've blogged about Zillow's inaccurate data several times, and Trulia is not much different. Trulia scrapes local tax data and posts pre-foreclosure and foreclosure properties as available for sale, when they are not. Every single day, I respond to questions from confused buyers on the Trulia forum about these types of homes. Trulia is touting updates and changes to their mobile app in an effort to get buyers to use it and sell advertising on the app to real estate agents. Condo or Single Family? Villa! As you may have read in a previous blog post, many of the customers I work with are interested in a condo, when sometimes a single family home might actually be a better option. If you are the type of buyer who wants the lower maintenance benefits of a condo, but like the idea of a single family home, a villa-style property may be a great option for you. In the Sarasota area that I serve, a villa is considered to be detached or semi-detached (shared wall), and is managed in an owner's association much like a condo. Villas are ground floor, so you don't have to worry about stairs, and have more outdoor living options like a larger patio or a lanai, than a typical condo unit. The yard and common area maintenance are covered by the owner's association dues, just like a condo. Some villa communities even allow individual units to have their own private pools. Technology is rapidly changing the way we do business in real estate. I'm a huge proponent of using the latest tools and techniques to help buyers and sellers of Sarasota FL real estate, because technology helps the process move more quickly and easily. One of the tools I've been using is DocuSign. I've watched clients sign offers on their I-Pad or tablet PC, and even self-admitted computer-challenged clients find it is easy to use. DocuSign offers legal, secure signing online and eliminates paper, time consuming scanning, and faxing. If you are a buyer, bank owners of foreclosure properties specifically ask for highly legible, non-hand-written documents. DocuSign is a great way to help your offer stand out in a competitive multiple offer situation, because in part there is no degradation in print quality. It also greatly reduces missed initials or signatures that can cause your foreclosure offer to be rejected by the bank. Million Dollar Question: Single Family or Condo? Almost without fail, out of town buyers, especially buyers from Canada, are interested in Sarasota and want to buy a condo as an investment. 4) Many condo associations restrict owners from renting to significant segments of the population, for example, tenants with pets. Last year I created a page on my website about Zillow's misleading and unreliable data about Sarasota real estate. As I wait for the football games to start, I thought it might be a good time to get updated information from my friends at Zillow, who love to misinform real estate buyers about price trends in our fair hamlet. Zillow reported an 18% decline in real estate sales prices for Sarasota in 2011 versus 2010. MLS data showed the median sales price was flat in 2011, the sign of a market that had hit bottom. Zillow's data for 2012 is even more perplexing. They reported the median sales price in 2011 was $130,000. They now report a 2012 median sales price of $220,000, a whopping 74 % increase over 2011. Wow. I wish that was the truth. Even so, 2012 was a nice recovery for our area, with MLS data showing the median sales price in Sarasota County was $155,000 versus $135,000 2011.